We have just about made it across South Dakota. 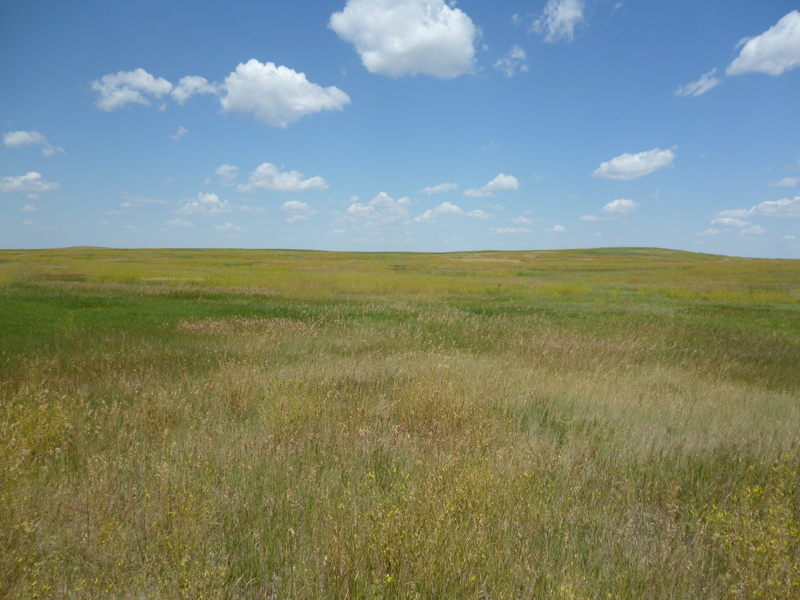 We camped the night at Badlands and saw pronghorn, bison, bighorn sheep and prairie dogs. The Ranger talk was on the grasslands and I got to throw a spear using the atlatl. 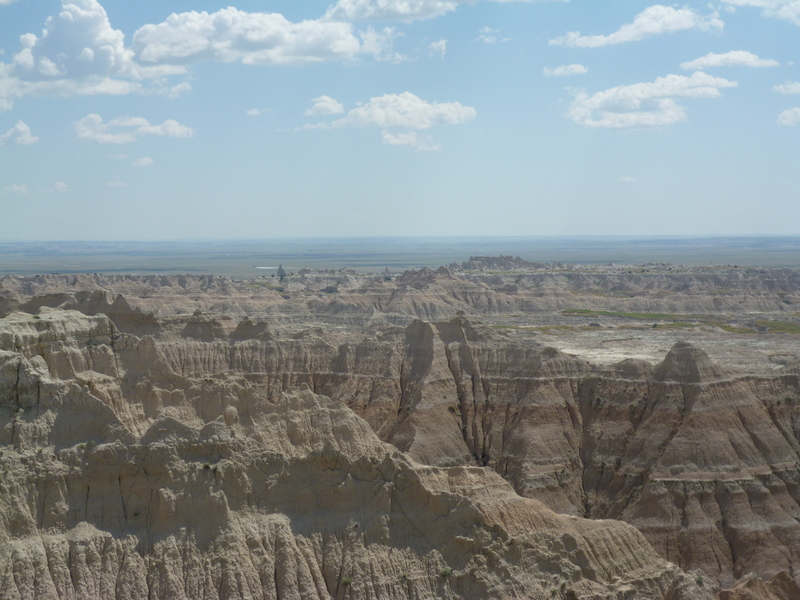 The badlands just erode away from the prairies. 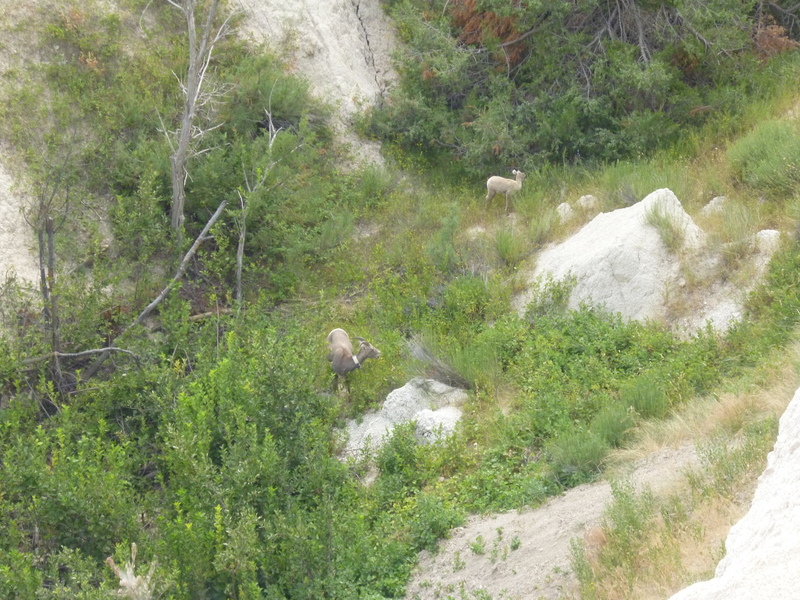 Bighorn sheep mom and baby eating away in the valley below. 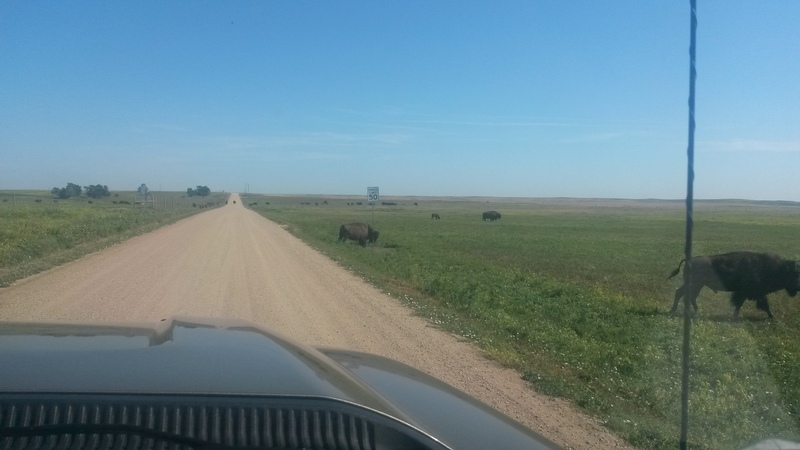 The bison used the speed sign as a scratching post. 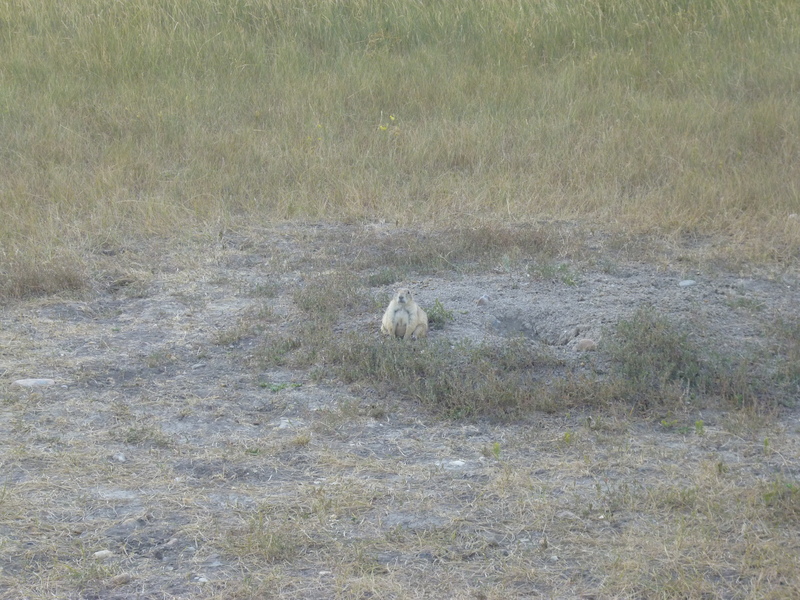 This guy was obviously the best fed prairie dog in the park. 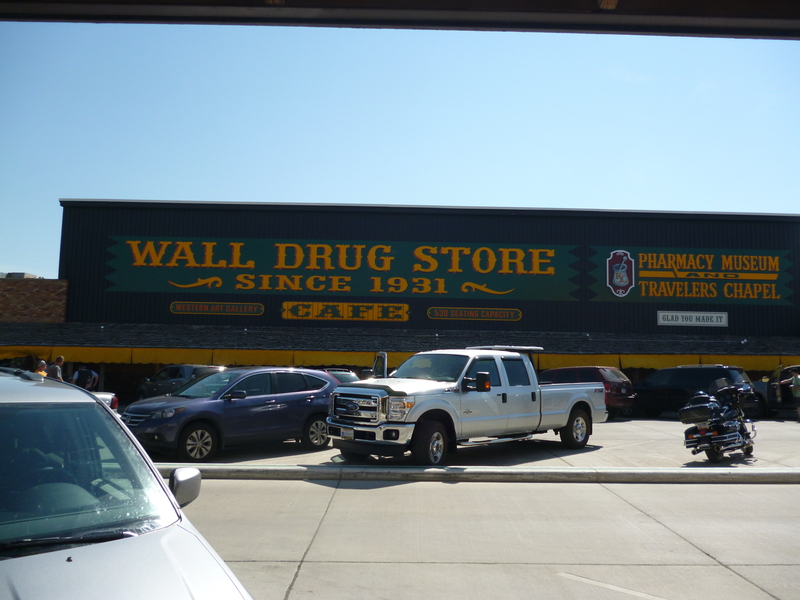 We then made our way to Wall Drug store in Wall, SD for their world famous hot beef sandwich lunch, 5-cent coffee and the wonders of sites within the block long building. We finished the day by stopping in Madison, SD for the night. Tomorrow we enter Viking territory (Minnesota) and then the land of cheeseheads (Wisconsin). Entered a new time zone today and noticed that we are about half way across the US now.